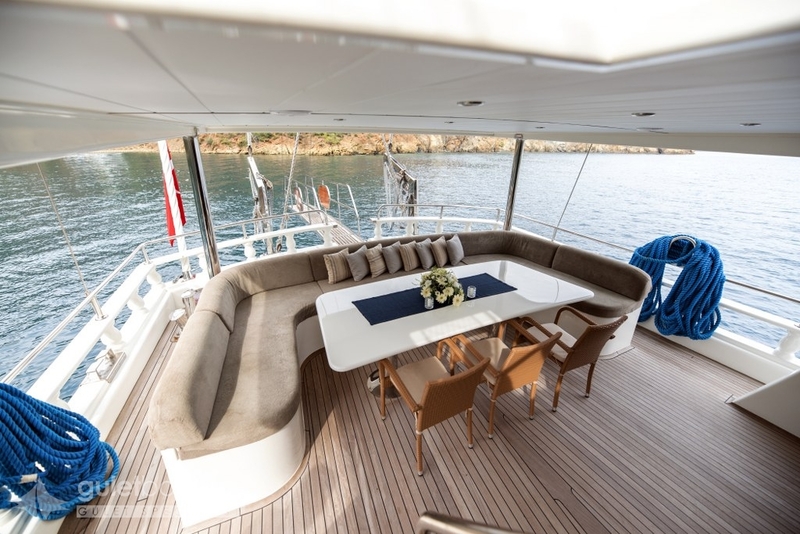 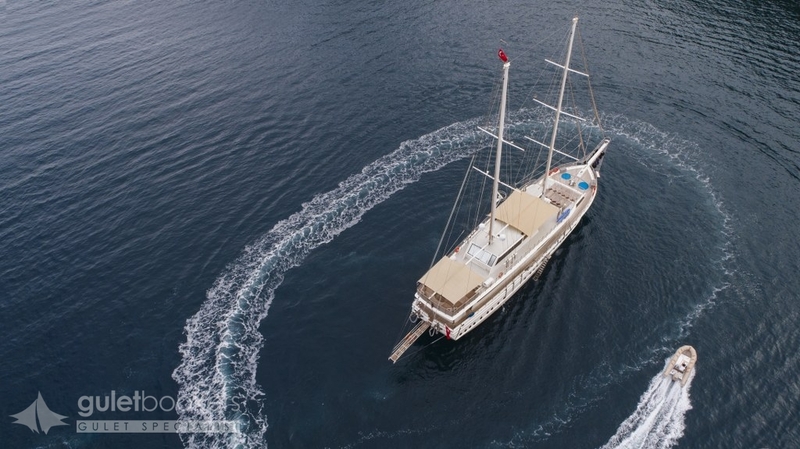 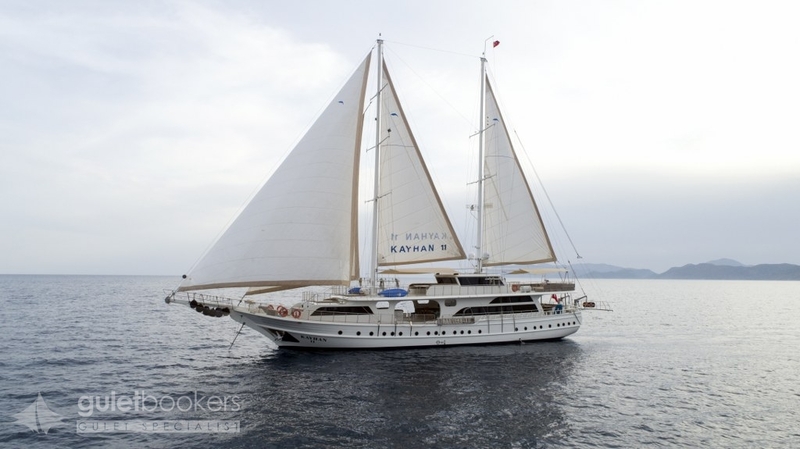 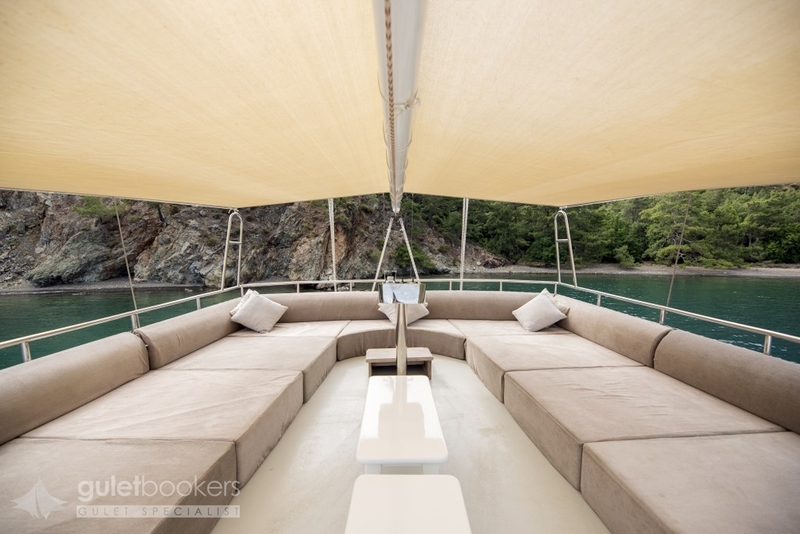 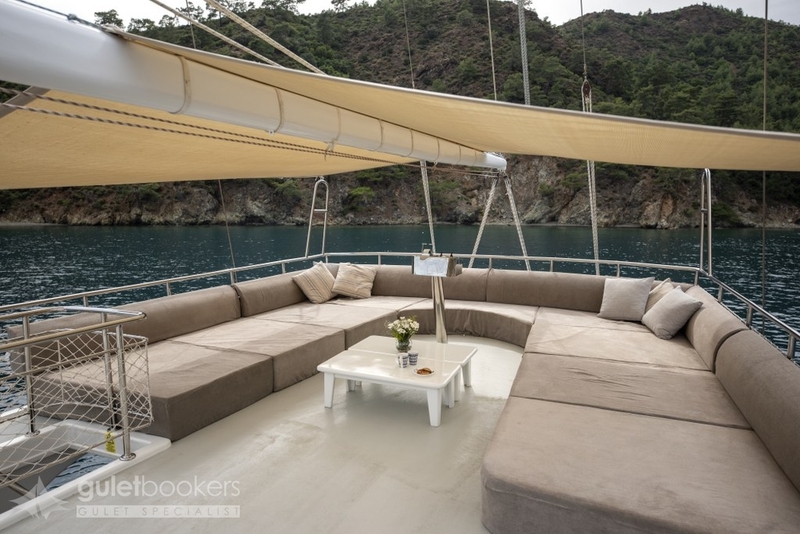 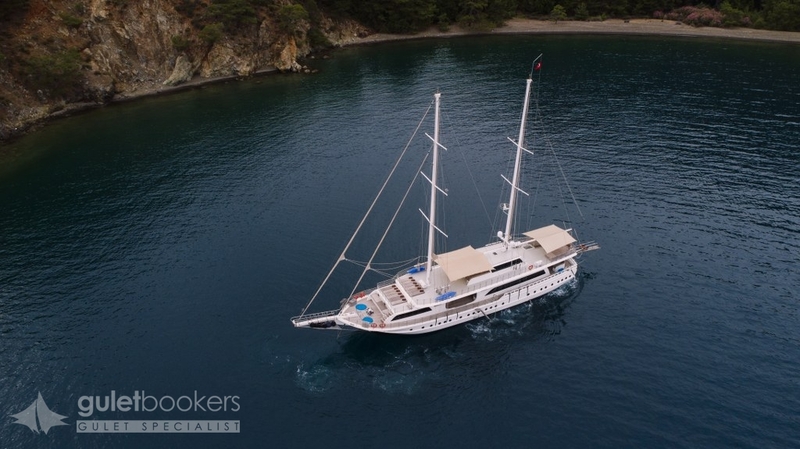 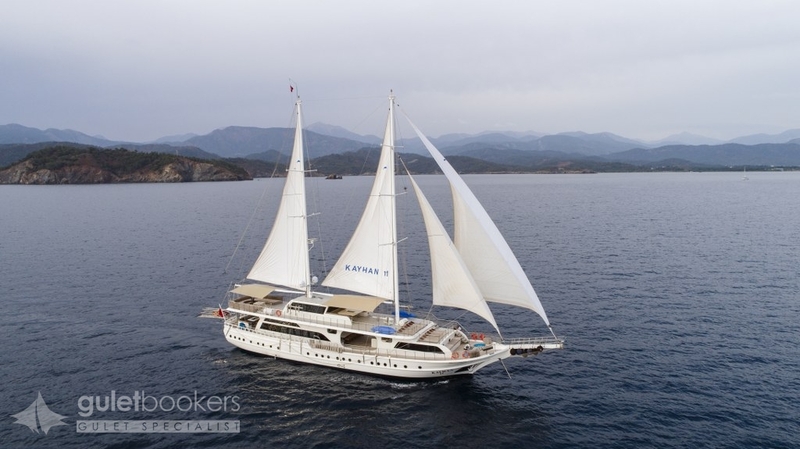 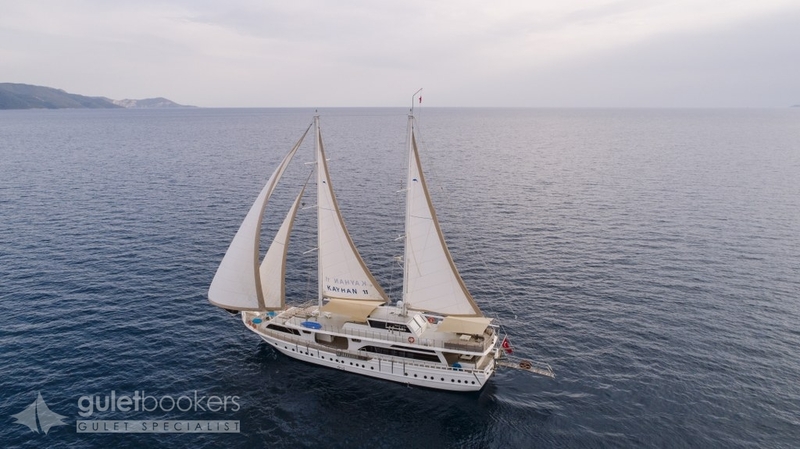 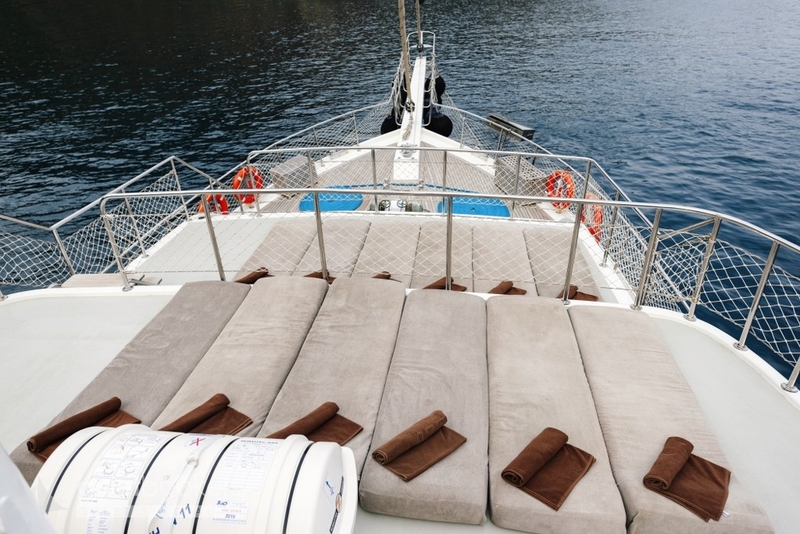 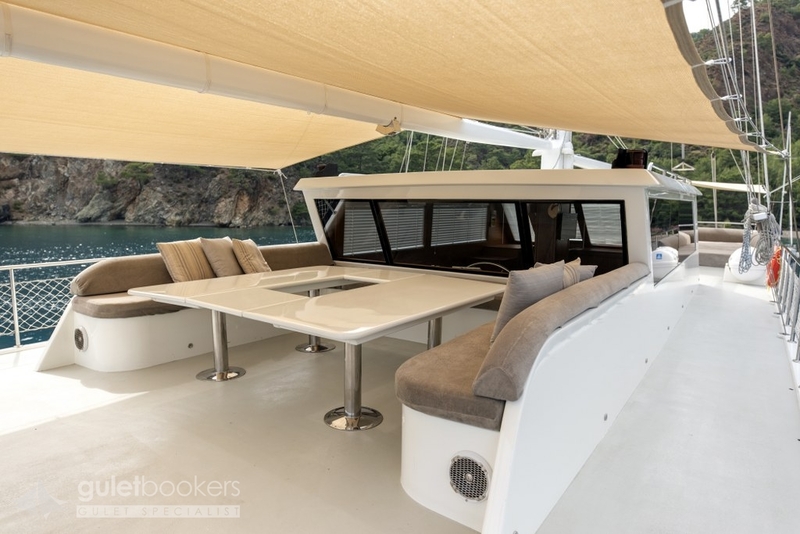 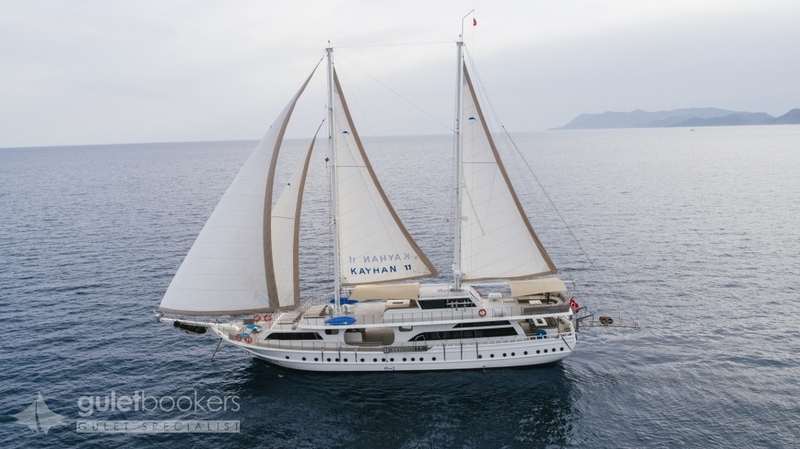 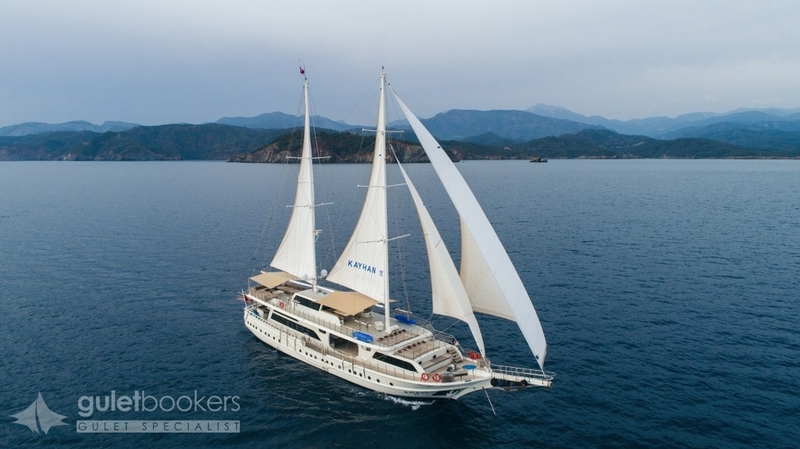 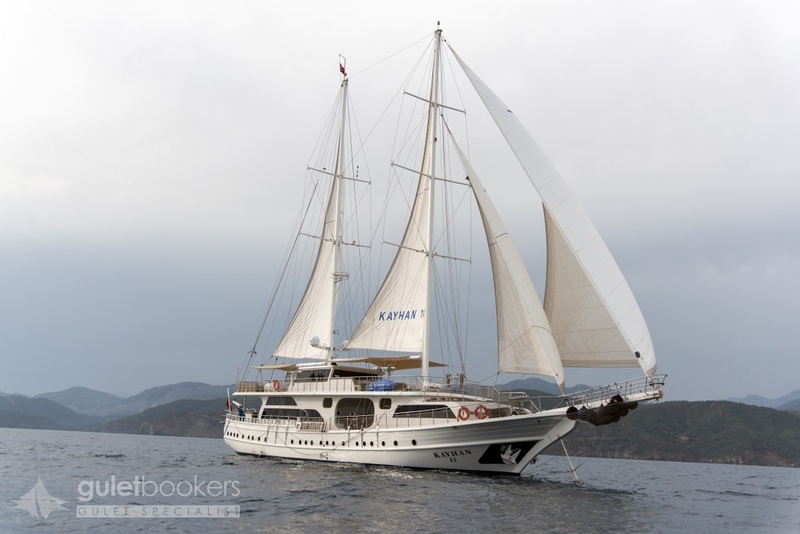 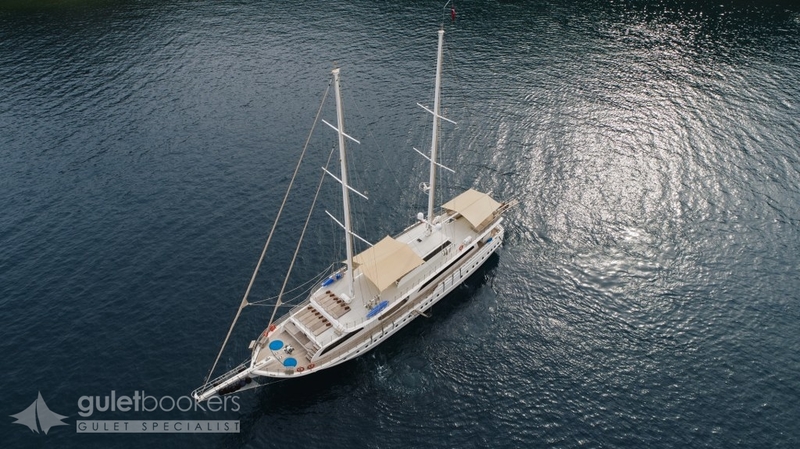 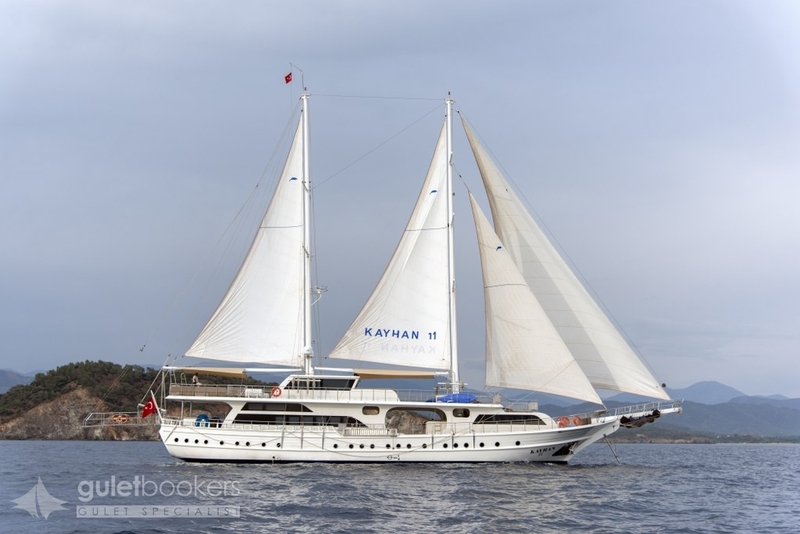 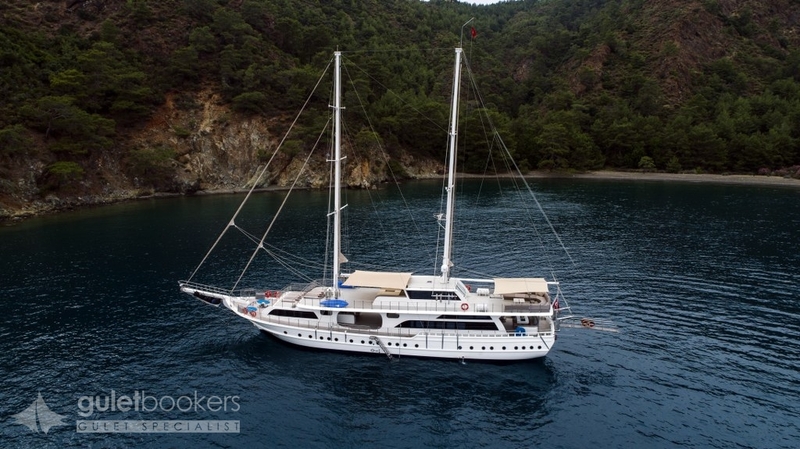 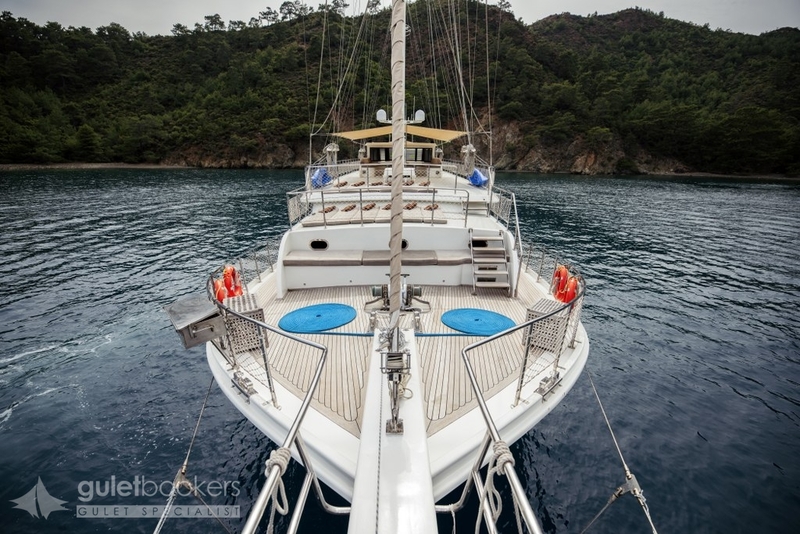 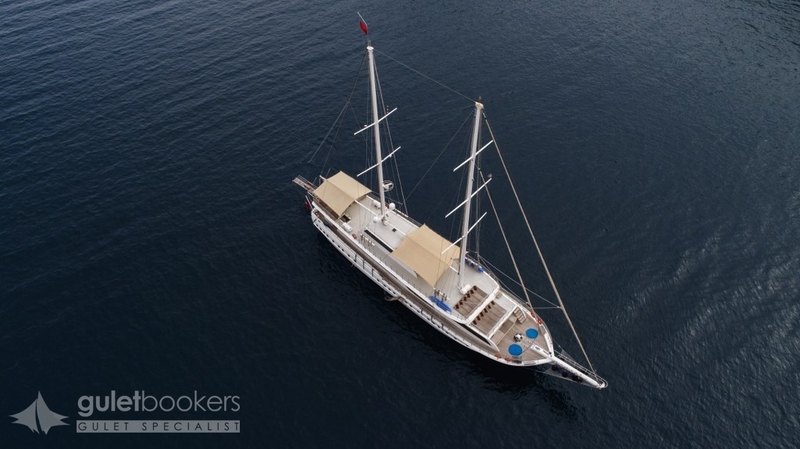 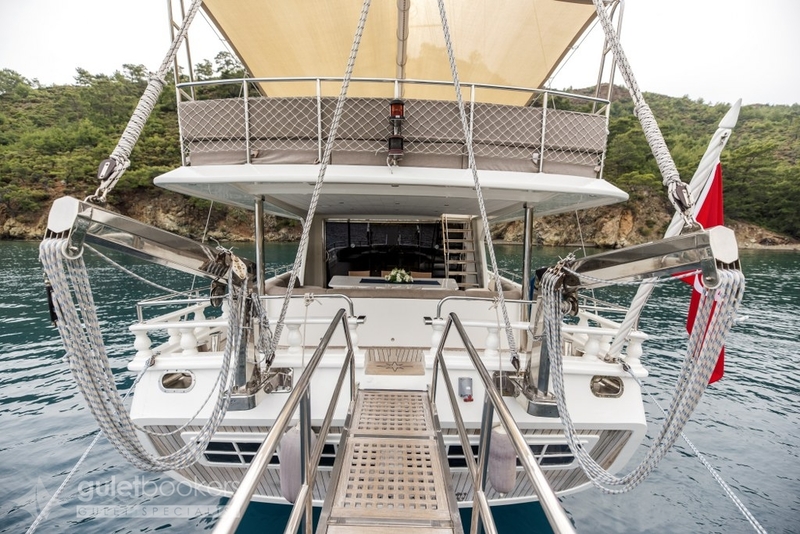 The traditionally built Luxury gulet Kayhan 11 has the pleasing lines of a Turkish Ketch Gulet, and the typically generous outdoor deck spaces ideal for a large group to enjoy eating, drinking and sunbathing on an enjoyable gulet cruise holiday along the Mediterranean and Aegean coasts. 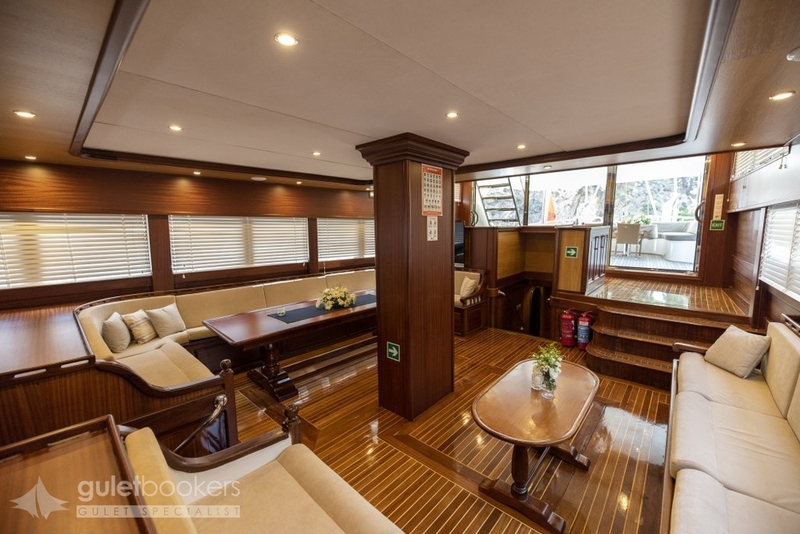 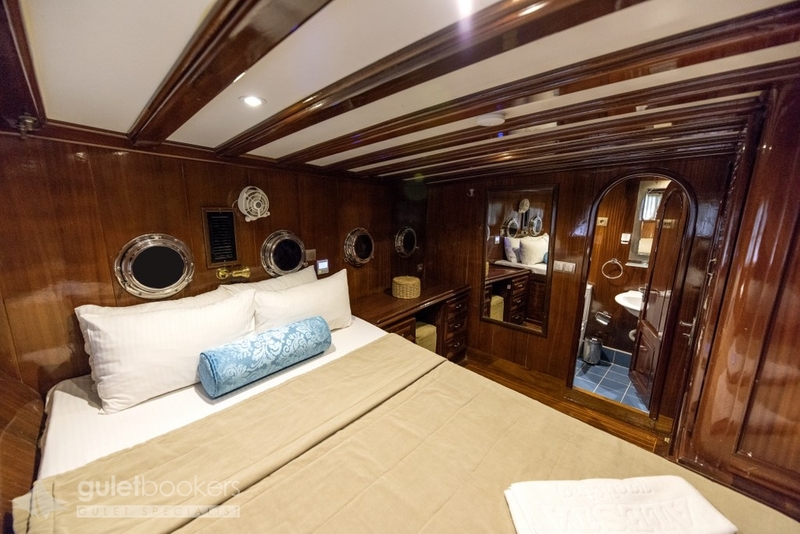 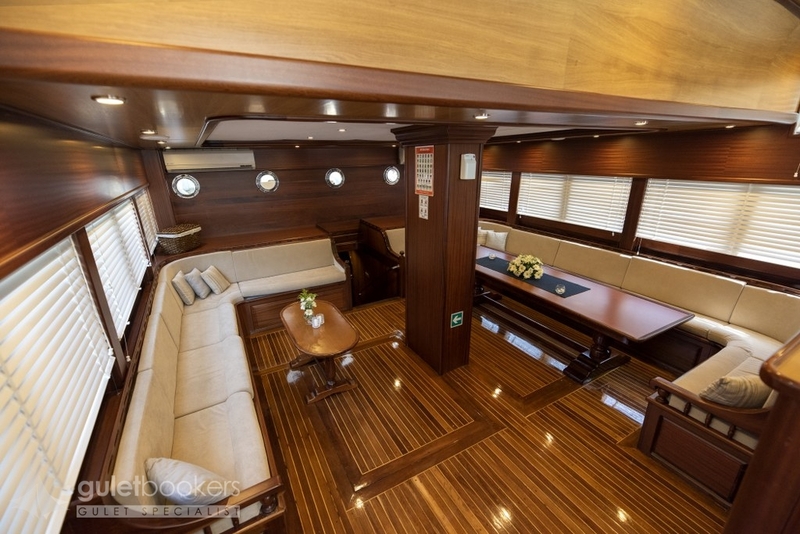 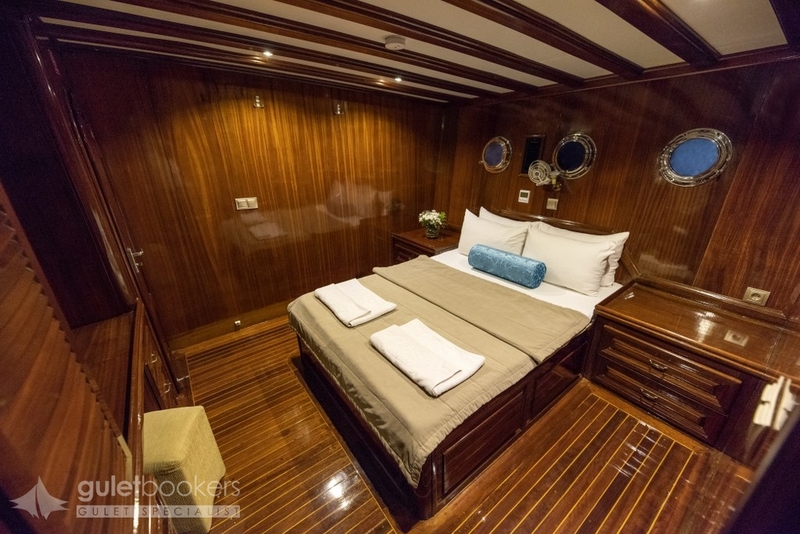 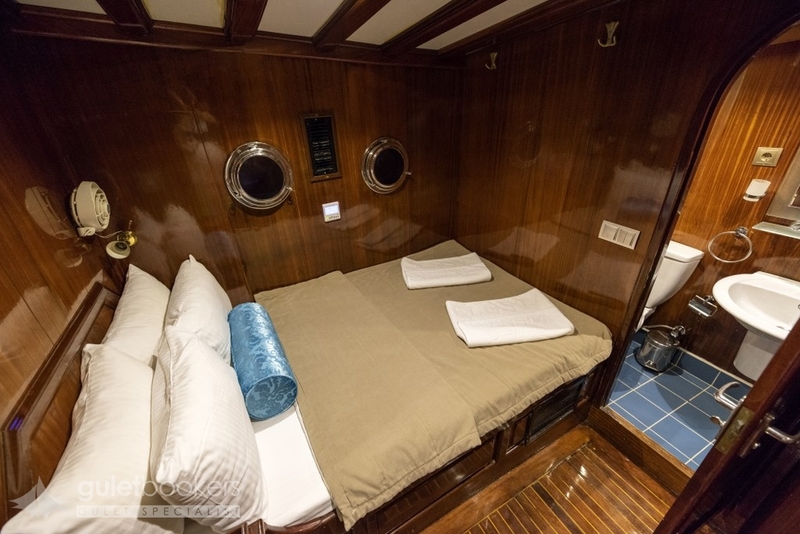 The interiors of the cabins are traditional and neat but well-fitted out in the classic wood finish to give that polished nautical style of a luxury gulet. 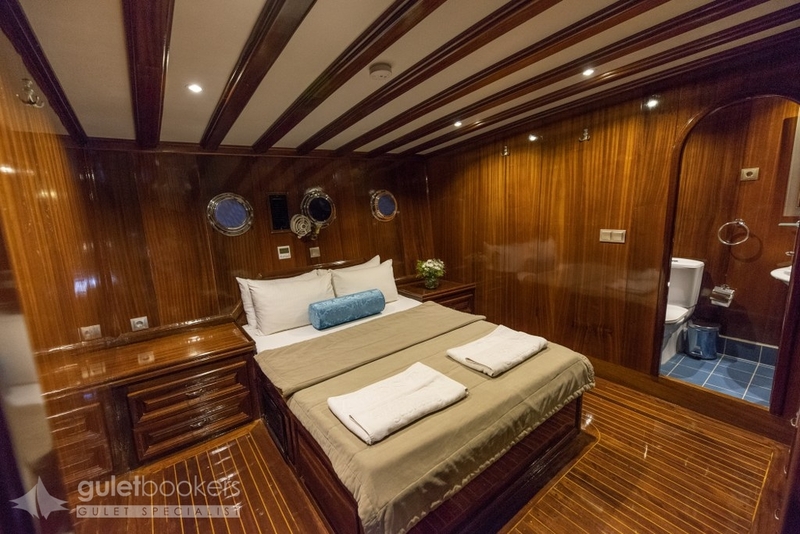 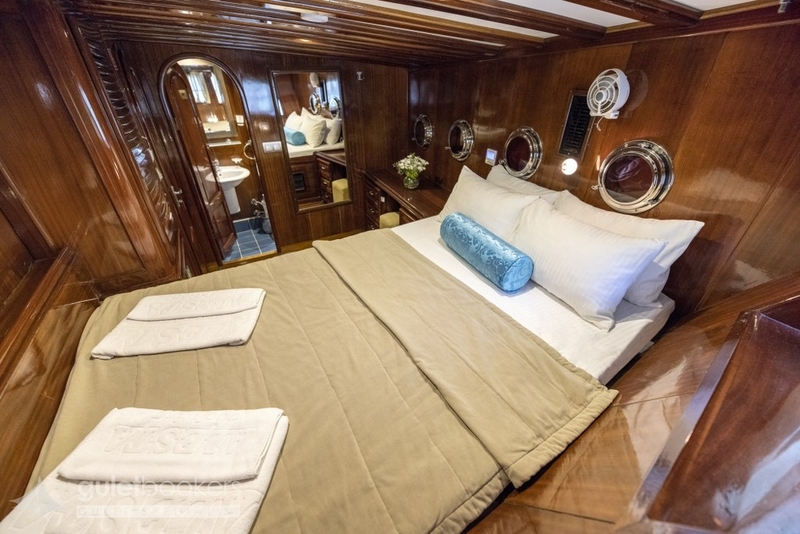 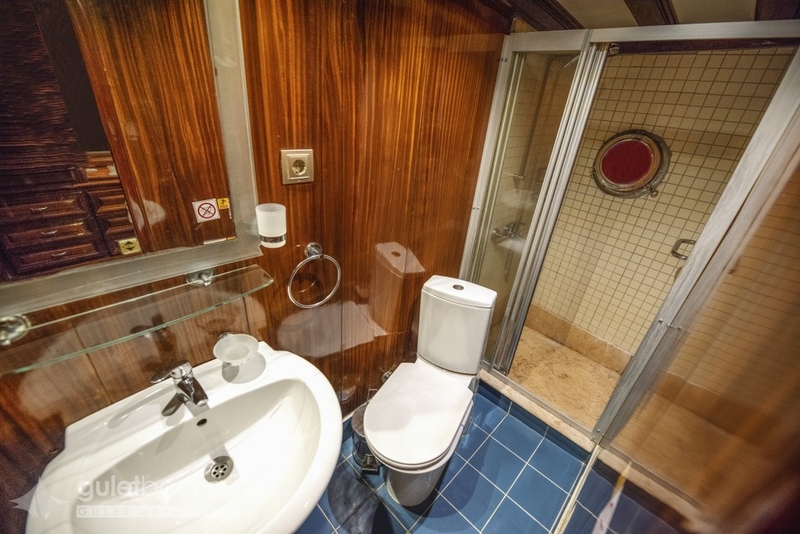 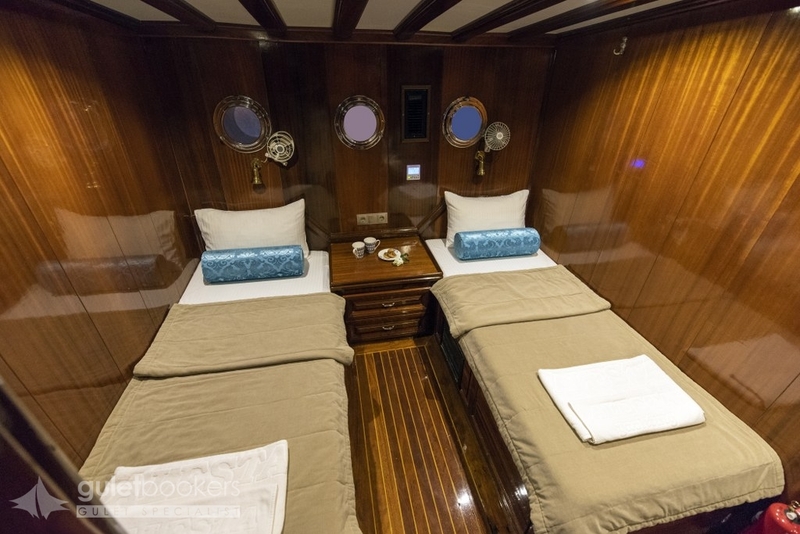 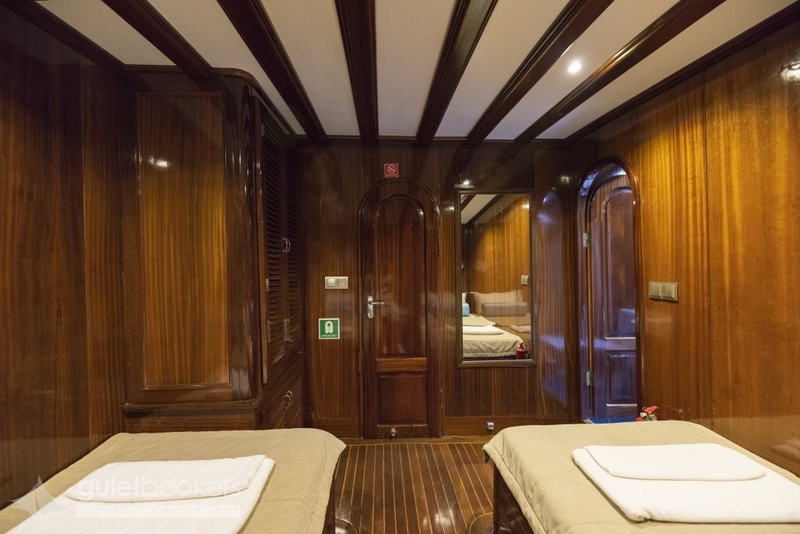 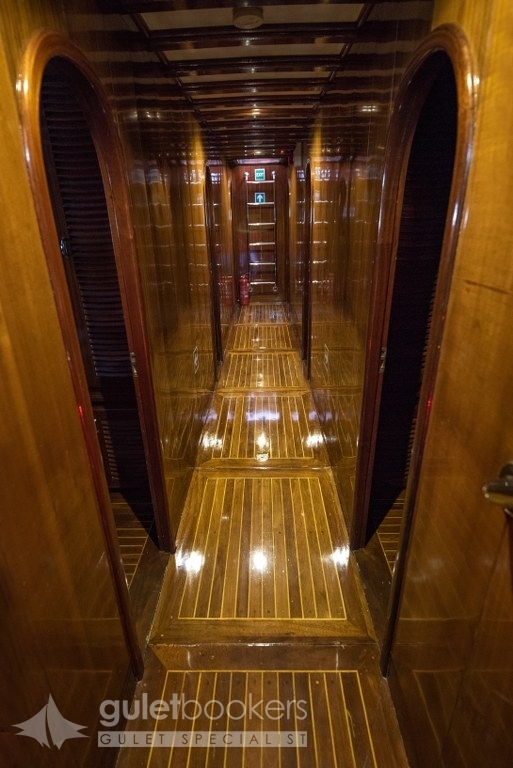 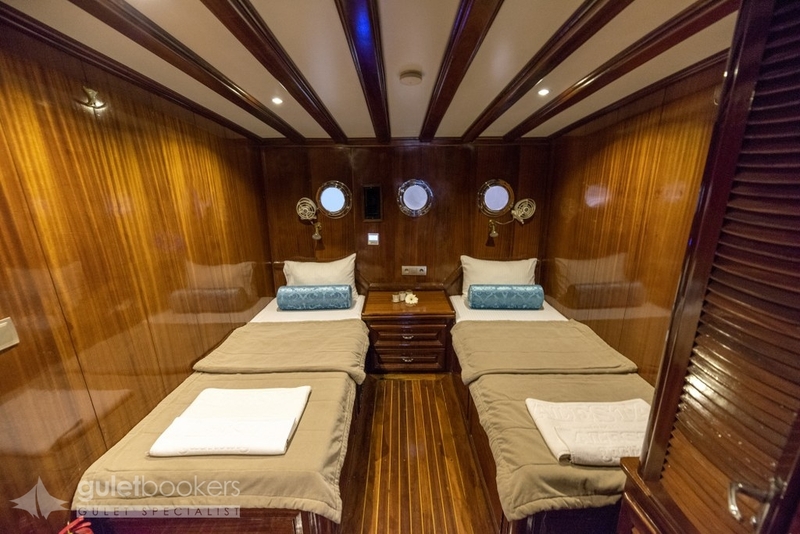 The cabins on Turkish yacht Kayhan 11 all have well-appointed en-suite bathrooms with shower cabins and hair dryers, and air conditioning available throughout.The two groups of cabins consist of four double bed cabins aft from the saloon, and four twin and two double bed cabins forward from the saloon.The Kayhan 11 has the luxury of three dining areas; one dining table indoors in the saloon, and the second large table and chairs under the shade on the aft deck and beside the inviting wide cushion bank across the stern.The third dining table is on deck between the two coachhouses- ideal for dining beneath the stars, and close to the separate decktop galley which is the distinguishing feature of the gulet. 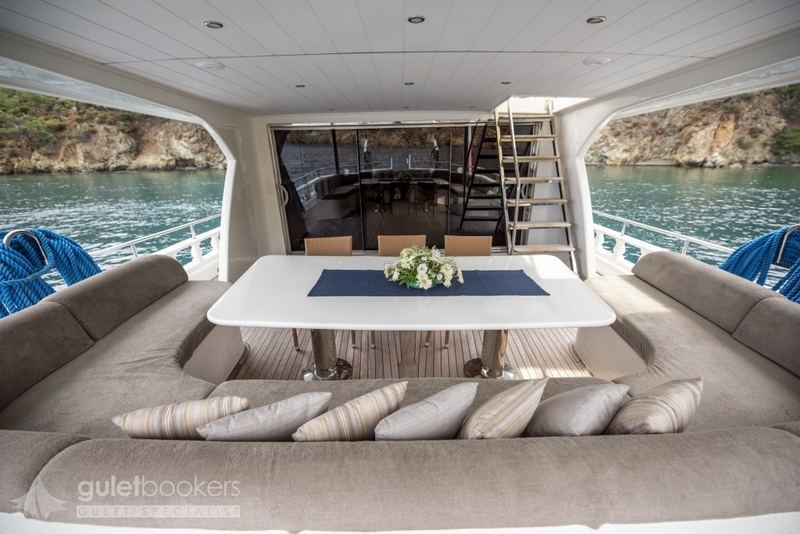 Guests often enjoy following what the chef is cooking for the day. 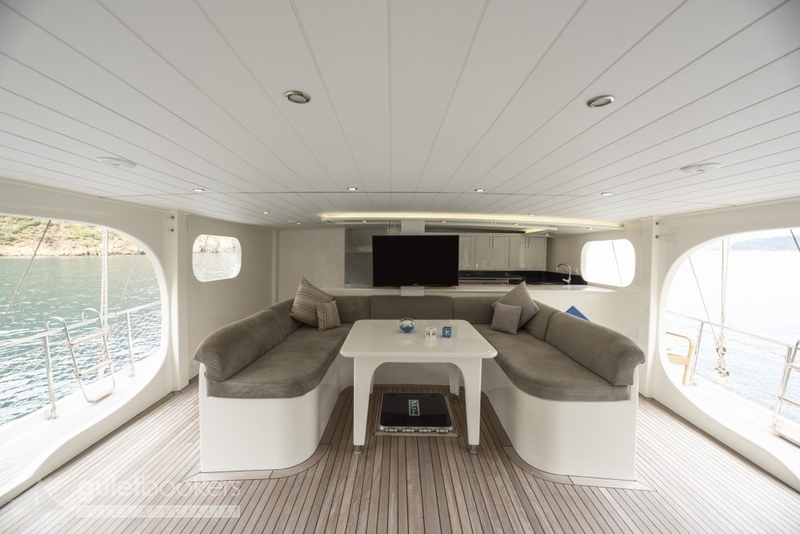 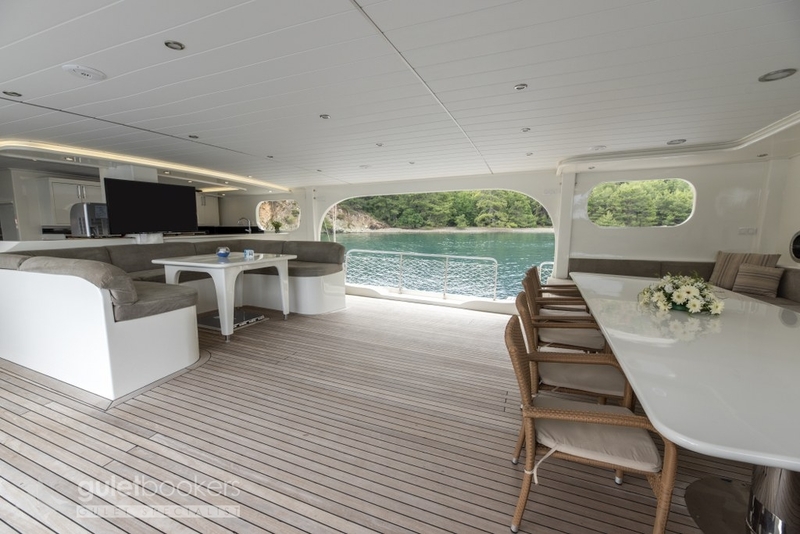 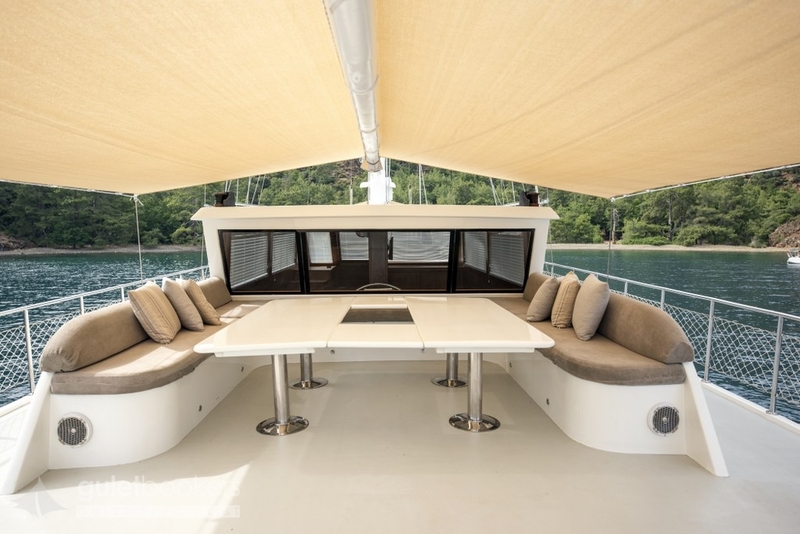 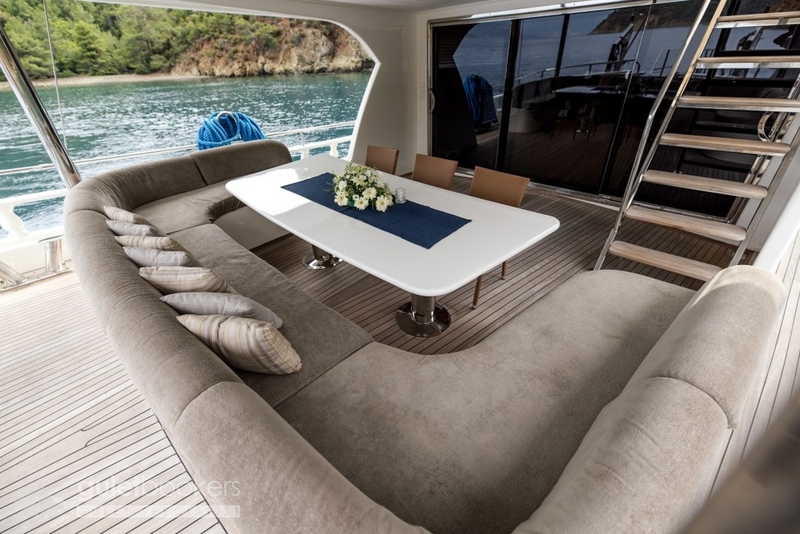 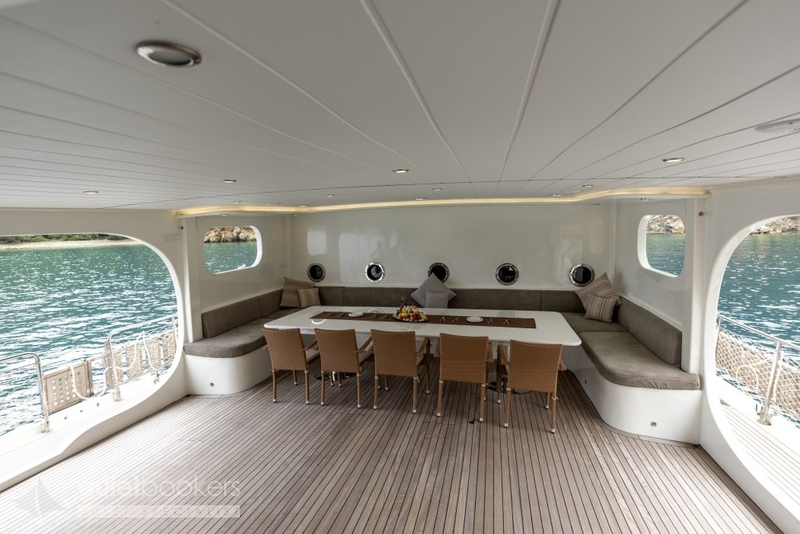 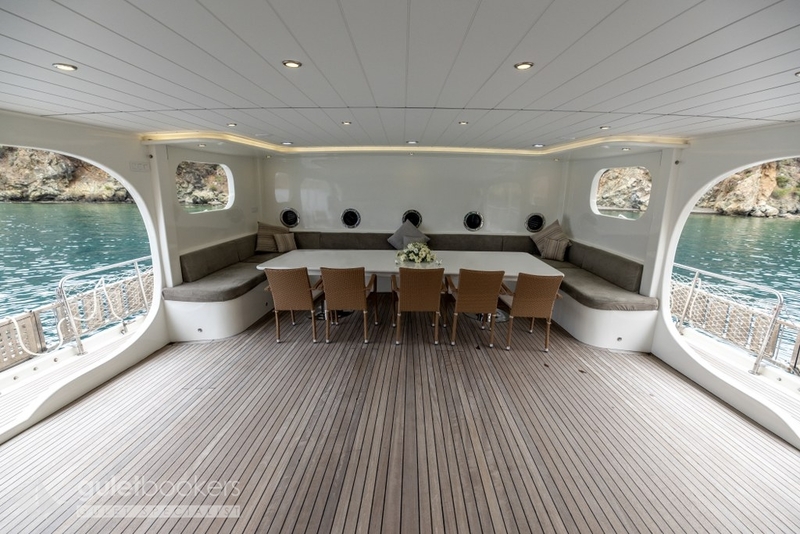 The galley creates a third separate seating area in front of it in the bow and a second coachhouse roof sunbeds area, making sure that there are ample comfortable cushions and sunbeds for all.